First Day: Pomp and circumstance. Awake the State. The first day of session was marked by the usual traditions of pre-congratulating each other on a wonderful session and pretending to get along. Legislators held a joint session to listen to Governor Rick Scott deliver the State of the State. He mentioned something about doughnuts. Dual rallies were also held, The Tea Party Network held a rally to "promote fiscal responsibility". The Awake the State folks also had a rally on the front steps of the Capitol, demanding a slew of pro-middle class, pro-environment, pro-woman, pro-student, pro-voter policies. Two key issues had movement this week, school prayer and redistricting. A bill that would allow prayer at school events passed through the Senate Judiciary committee on Thursday. The Anti-Defamation League called the bill "divisive and unconstitutional" and could lead to "state sponsored speech". The ACLU warned it could alienate students from their peers. There are also concerns that the bill open the door for discrimination by teachers and students in school based on religion. Redistricting is the hot topic for the 2012 legislative session. On Thursday the Senate held a tense discussion on race and redistricting. Wednesday, a Senate committee approved rewritten congressional and legislative maps. Senate Minority Leader, Nan Rich, proposed maps drawn up by groups like League of Women Voters, Democracia and Common Cause. Rich argued the current Senate maps packed minorities into districts leaving them Democratic leaning, which ensuring the surrounding districts would go to the GOP. Today, Rich announced she will not file amendments to the Senate redistricting maps, and that she believes the maps will ultimately go to court. The Capitol isn't all serious business. 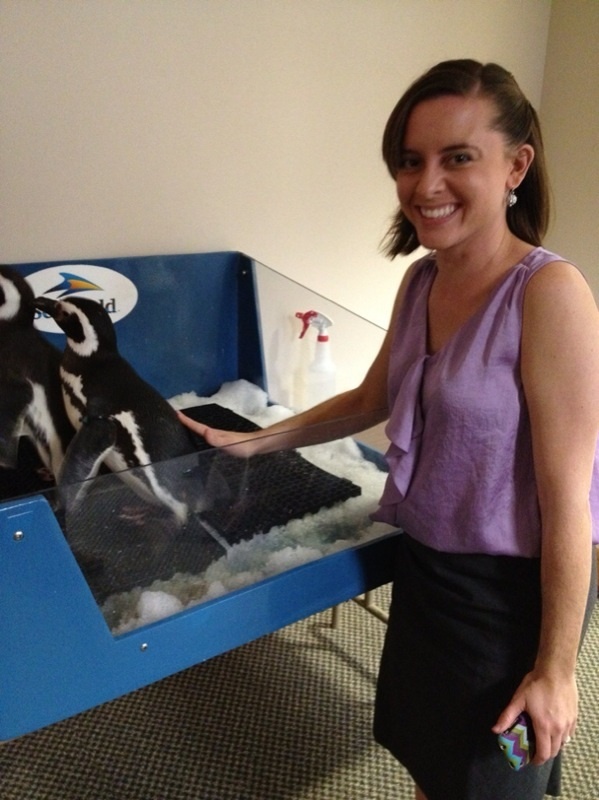 Wednesday Sea World came to the Capitol and I got to touch a penquin!